My Experience With the Jazzercise "Know More Diet"
THIS Weight Loss System, I Like! I never thought I'd write about a weight-loss plan of any kind, but having tried several programs at various times during my yoyo-ing life (calorie-counting, the Adkins diet, the Weight Watchers system on my own), this Jazzercise diet is my favorite and a method I believe will become a habit as time goes on. 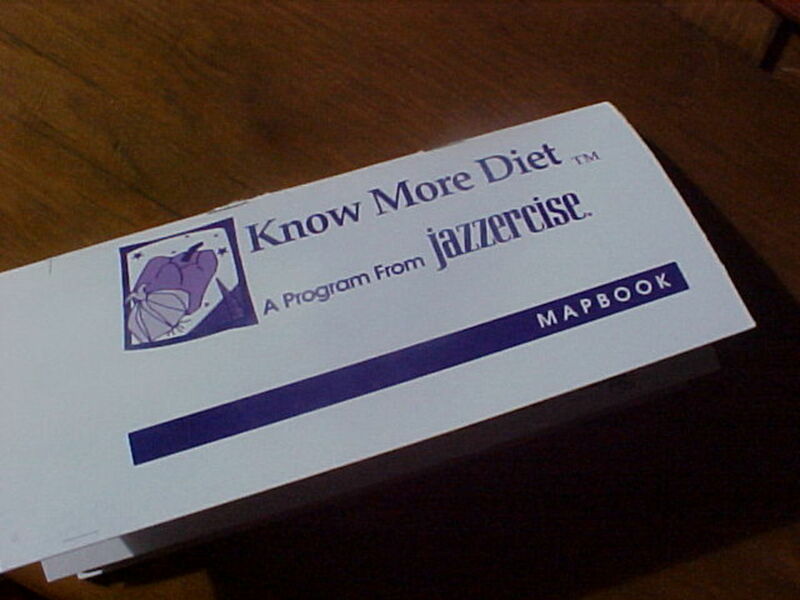 All I know about the origin of the Know More Diet is that it was developed by the Jazzercise corporation. This food and exercise regime has been the focus of some of the special programs at the Jazzercise studio I belong to here in Flagstaff, Arizona, so I assume this is the case at many of the thousands of Jazzercise locations around the world. And one thing I can I tell you about the diet itself, which I'm currently following through the 12-week "Jazz It Off" fitness and fat-loss program, is that it's pretty easy to stick to. No calorie counting. No off-limits foods. 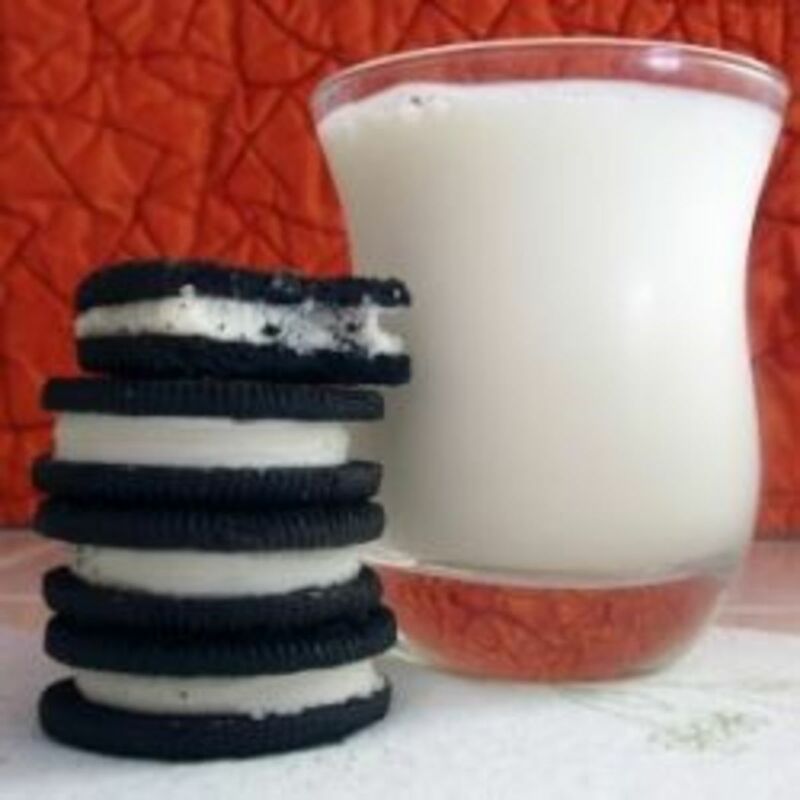 (Not even milk 'n' cookies!) Carbohydrates aren't taboo either, and you don't have to eat cabbage soup or grapefruit all day, every day, for months. Now, that doesn't mean I don't have to fight the urge to scoop out a big bowl of that ice cream my husband is enjoying way too much at this very moment ... right in front of me ... but the added fact that I have to be accountable each week at Jazzercise, not to mention that it's also a contest, helps keep my cravings at bay. Or at least helps me ignore them. In this article, I'll share the basics of how the "diet" works, as well as my own progress during the Jazz it Off program and beyond. To follow this diet, the participant uses the charts in the Jazzercise Know More Diet "mapbook" to determine what and how much food should be eaten on a daily basis and track progress throughout the program. 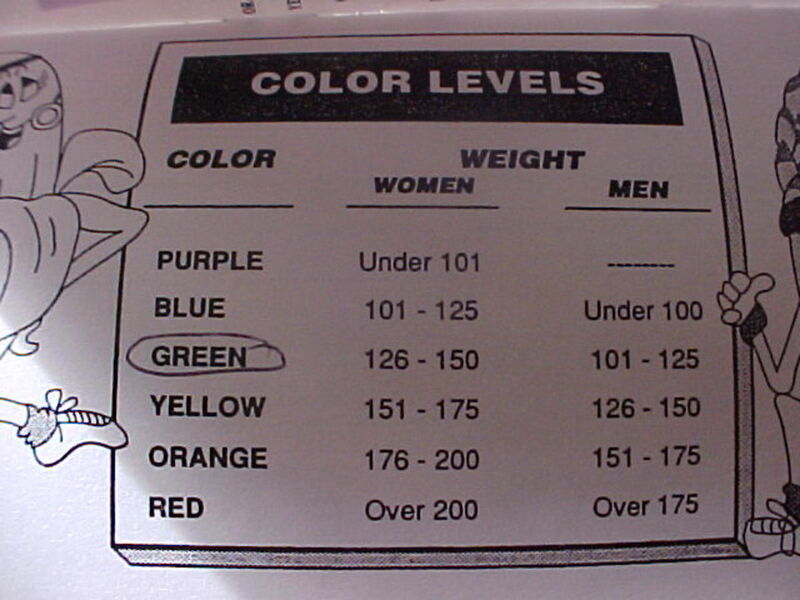 According to one's current weight, the participant finds his or her "color level" on the chart, pictured above. If she (or he, but I'll use she from here on out 'cuz I am one) wants to lose weight, she'll use the color level of the next lowest weight range to determine the number of grains, fruitables, etc. she can consume each day. Those numbers are then found on the "Rainbow Food Plan" (below). As for me, I'm currently in the yellow range of 151-175 pounds. Since my goal is to lose weight -- well, fat and inches, really -- I'm going to use the next lowest color level (green for 126-150 pounds) to find the number of grains, fruitables and so forth I can have each day. It may be a little hard to read, but the green level is third from the smallest on the chart. Now, if I wanted to end up below 126 pounds (which I don't, because that would be too low for my height and body type), once my actual weight would get into the green zone, I'd then drop to the next lowest weight range--the color level blue for 101-125 pounds--and then consult the Rainbow Food Plan chart again to get my new numbers. Make sense? Hope so. Once the participant determines the color level she'll be using--very simple, very easy--she can transfer the applicable numbers of each food group into the first weekly log and start tracking her daily diet. Okay, so some things are common sense. Like, a piece of bread is a grain, and a glass of milk is a dairy, right? But there are some edibles, like pinto beans let's say, that require a little explanation. Some foods will count in more than one category when it comes to the points, but I'll get to that in a bit. Grain: According to the map book, most of the calories in our diet should come from this and the fruitables group. 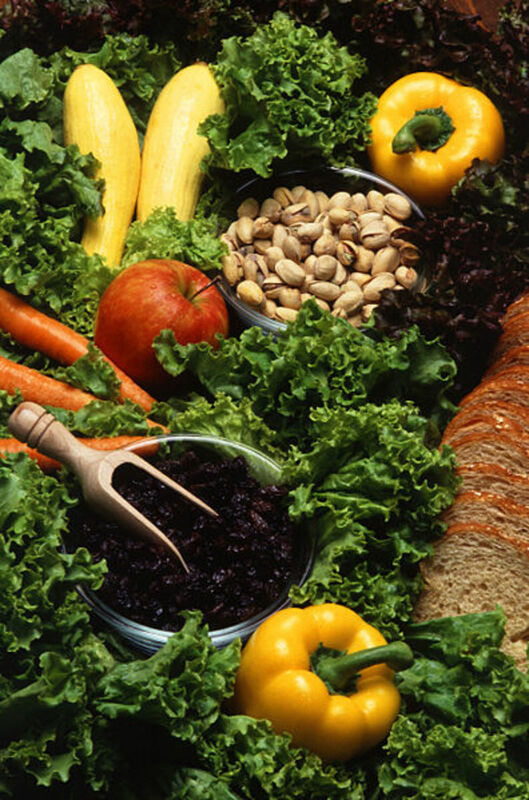 As you'd expect, high-fiber items are recommended over refined products. Grains include breads and cereals, pasta, corn, rice, crackers, popcorn and pretzels, muffins, pancakes and waffles, taco shells and chips. Fruitables: This group includes both fruit and vegetables. While some diets place potatoes in the grain category, the Know More Diet categorizes them as a Fruitable, but the map book does say that if you're used to thinking of them as part of the grain group, you can do so here as well. Dairy: As with the Meat, Fat and the "Fun" categories, the number of dairy points allotted in this program are much less than the Grains and Fruitables. Dairy includes milk products and soy milk, yogurt and frozen yogurt, and cheeses. Meat: Eggs, tofu, fish and legumes are included in this group. 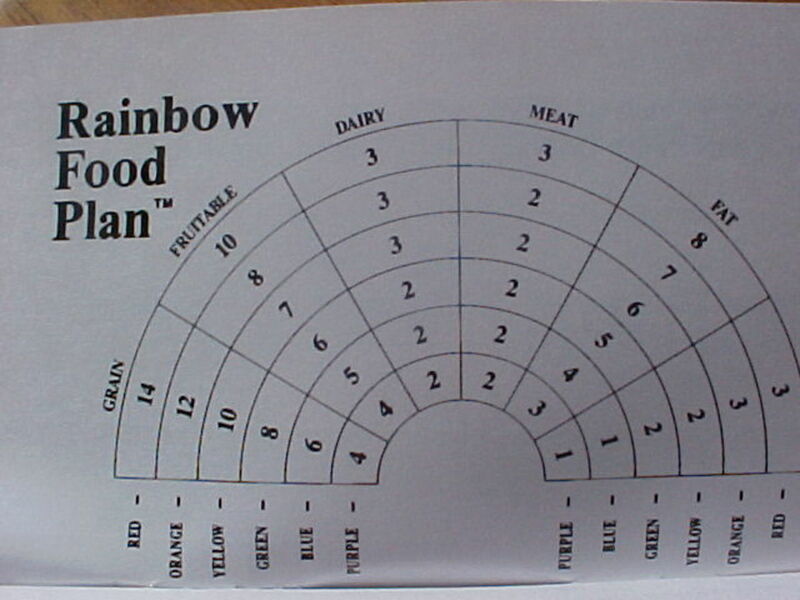 The Rainbow Plans were based on the idea that the participant would use some of her fat allowances for the meat she'd choose, but if one chooses from the lean meat category, no extra fat points need to be mapped. Even vegetarians should include the recommended servings from this group. 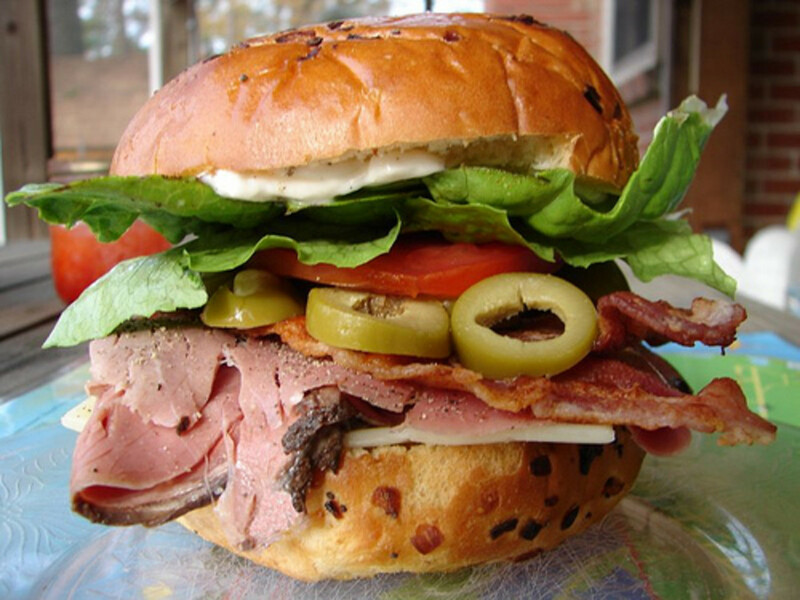 Fat: There are actually more Fat allowances per day than there are Dairy, Meat and "Fun." Of course, polyunsaturated and monounsaturated fats are recommended, especially on days when one eats beef, pork or high-fat dairy products. Fats include things like butter and mayonnaise, oils and peanut butter, seeds, nuts, avocados and olives, coconut, cream and gravy. Even bacon is in this group rather than in Meat. Fun: There are lots of foods in this group, from cakes and cookies to beer and wine and jelly beans, and each day, you get to have a little bit of fun. As with the Weight Watchers program, the Know More Diet uses a point system, rather than actual calorie counting. For example, a slice of bread is 1 Grain, and a whole small fruit or 1/2 cup of fruit juice is 1 Fruitable. As I mentioned, some foods count in more than group. Take a nonfat fruit yogurt. That would count as 1 Dairy plus 1 Fun. The same size low-fat yogurt would be 1 Dairy, 1 Fat and 1 Fun. So you'd check the mapbook, preferably before you decide what you'll eat, and log the "points" accordingly. After a while, you'll get familiar with the values and won't have to consult the lists at the back of the mapbook as often. The mapbook also includes lists of combination foods, as well as common items at some popular fast-food places. If something isn't listed, it's not difficult to get a good idea of the portions and group values to map based on what is listed. I generally think of the mapbook as a guide to help you eat a balanced diet and reasonable portions that, combined with exercise, will help you meet your goal and make adjustments if that isn't happening. As seen in the picture below, the mapbook has a page for each week. You write the color level you're on that week and the week number in the top-right. 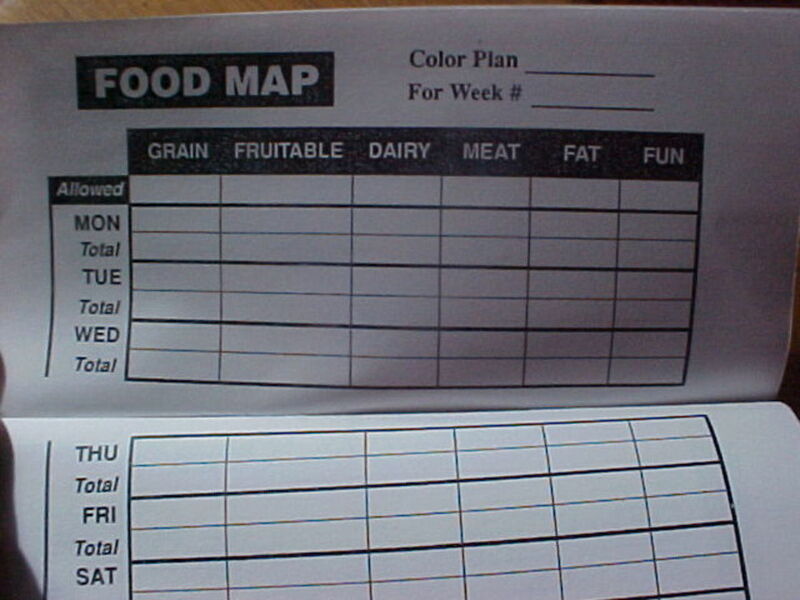 Then, according to the Rainbow Food Plan chart, you write in your allowed "points" in each food group across the top. During each day, you can use hash marks to keep track of your numbers in the first line, then total them at the end of the day on line 2 for that day. Pretty easy. The mapbook also contains an exercise log for each week, where you can record your daily fitness activities, duration and intensity. Jazzercise recommends attending three or more classes per week. BMI, BMR and Body Fat Percentage are just as important, if not more so. For our initial, weekly and final body composition analyses, Laura and the other instructors use a "scale" called a Tanita Body Composition Analyzer, which gives a printout with all sorts of information, including weight. Utilizing one's gender, age, and height as part of the equation, the Analyzer also produces figures for one's BMI, BMR and Body Fat Percentage, among other things. Body Mass Index or BMI is an indicator of body fat, based on a weight to height ratio. BMI is obtained from a person's weight in kilograms divided by height in meters squared (BMI=kg/m2). You can find more information as well as a BMI calculator for adults and children on the Mayo Clinic website. A normal range for adults is 18.5 to 24.9. Keep in mind, though, that BMI does not take muscle mass into account, so I personally don't put much stock in this measurement. Basal Metabolic Rate or BMR is basically the number of calories you'd burn if you just slept all day. BMR decreases as we get older, but regular cardio workouts can bring that number back up. The more fit you are, the higher your BMR will be. You can find a good BMR calculator and more information on bmi-calculator.net. Obviously, we need to consume fewer calories than our BMR to lose weight (fat). 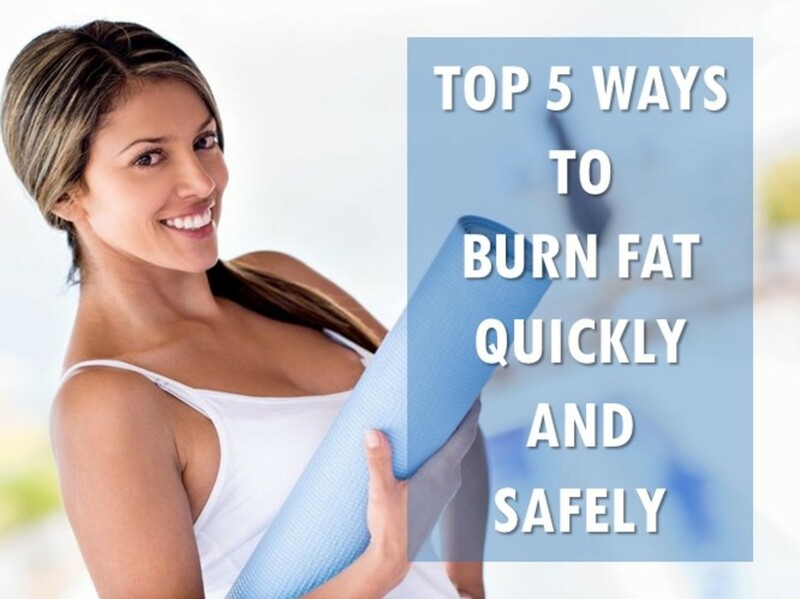 Burning extra calories through exercise will, of course, boost the number of calories burned and aid fat loss. Body Fat Percentage is just what it says. So if you weigh 100 pounds and have 10% fat, your body consists of 10 pounds fat and 90 pounds lean body mass (bone, muscle, organ tissue, blood and everything else). 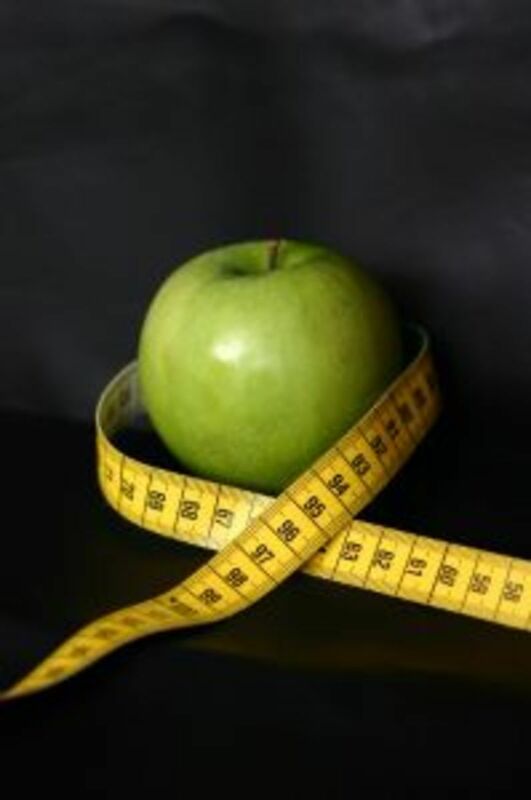 If you don't have a handy-dandy (expensive) Body Composition Analyzer, you can still figure out your body fat percentage with the use of a flexible measuring tape and the calculator on HealthStatus.com. Once you've got the result, see this chart on HealthCheckSystems.com to see how you fit in. Generally, an acceptable range for women is between 25-31%, while for men the acceptable range is between 18-25%. From February 15 thru May 9th, I'll be participating in the "Jazz It Off" fitness and fat-loss program at Jazzercise, including the Know More Diet. I'll share my progress (or, I guess, lack thereof) here. Waaaaah! The machine lies, I tell you! Weight: Uh ... I think I'll skip this one for now. It ain't pretty. I intend to follow the plan to a T, so we'll see how I do. I'll be back at the end of the week to let you know my first set of results. Week #1 Results: I'm a happy girl. I lost 3.5 lbs and, more importantly, 1.2% body fat. The body analyzer wasn't printing for some reason, so I don't have the other numbers (BMI, BMR), but that's okay. Good results. Week #2 Results: Another good week! Lost another 3 lbs and 3% body fat. I sure hope I can keep this up. And I'm not starving all the time, either. Week #3 Results: Minus another 1.4 lbs. The fat % was the same, but some folks were saying the body analyzer wasn't working right--giving strange body fat numbers. But, anyway, I got a lot of exercise this week--3 Jazzercise classes, 1 strenuous and one moderate Search & Rescue mission, and a couple of aerobic walks--so I'm satisfied with the results. Week #4: Down another pound but body fat % is holding steady. And I've been working out constantly. Not just Jazzercise but five days of strenous hiking (on Search & Rescue missions) and not overeating at all. So I'm happy enough with the weight loss but a bit frustrated at the fat percentage "plateau." Week #5: I may miss the weigh-in this week, unless I can get there later today. Home scale says weight is the same as last week ... which isn't exactly what I was hoping to see. I've been getting a ton of exercise, including Jazzercise, lots of hiking on SAR missions, and some race walking too, but I guess I haven't been as dedicated to the food diary as I should. Back on track, though, starting riiiiiight now! (Made it at 4pm. Body fat down another .8% (eight-tenths). Week #6: I was away on vacation, so no weigh-in for me this week. I'm afraid I didn't stick to keeping track of my food this past week, although I did get plenty of exercise (lots of hiking). The home scale isn't happy with me, though. Says +2 lbs. Shoot! Week #7: I was away again during the weigh-in period, but I must confess: I'm losing steam and slipping. How to get motivated again, like I was during the first few weeks? Week ...: Um, what week are we on? I've missed some weigh-ins, because I've been either on vacation or on Search & Rescue missions at the time. I think we're on week 9 now. And, by the way, I won the drawing last week. We get a slip with our name on it put in the jar for each point we receive, and then a drawing for goodies is held around the time of the weigh-ins. Points are given for keeping up with our food diaries, weighing in, and going to Jazzercise at least 3 times a week. Needless to say, I haven't gotten any points the last couple of weeks. But my weight, etc. is holding steady at least. Now I just need to start going down again. Week 12+: So I did miss the rest of the weigh-ins, and I don't actually know if or when there was a final weigh-in for participants or who won, but that has nothing to do with the "diet." In fact, I'm still using the booklet as a guide and continue to see results on my home scale. I'm minus 11lbs. from the time I started, so a bit less than one pound per week on average, which is okay! I've often found that the faster the weight comes off, the faster it usually comes back. So, hopefully, this time, that won't happen. Have You Tried a Diet Plan? There are so many diets out there--Weight Watchers, Adkins, The Zone, South Beach--and so on ... and on ... and on. Tell us which you've tried and how it went. Have you followed a diet plan? Questions or Comments About Jazzercise or the Know More Diet? - Please share them here. Likewise. Instead, I've been eating keto (low carb, moderate protein, high fat) for the past year, and that's been working well for me. It's quite different than the Know More Diet was, which also worked for me back then. I followed this for years and maintained the perfect weight, and was well-nourished and never had cravings for anything. I’d love to find the book and follow it again as I’m at a point in life where I’d like to make some positive changes. I did Know More Diet YEARS ago and I continue to try other diets and I don't get results like I did. Is this map book still available ? I agree that it is not just about weight lost. Your BMI means more than just maintaining a weight. Nice info i like it a lot. nice blog. i had tried this Acai Berry Sekect weight loss supplement while trying to lose weight and i say it is really effective. until i am still taking it to maintain my figure and to keep me looking fresh. i am not afraid of its side effects since it is all natural. @anonymous: I wanted to add my two cents....With THE KNOW MORE DIET...I successfully lost 60 lbs of baby weight 3 times.....it is the easiest lifestyle change I,ve ever made. I follow it now because it is an excellent food plan for a healthy life. Good luck to you.......when I ran out of mapping books...I started writing everything down in my day calender. Does anyone know where to find the Know More Diet mapbooks? I don't think Jazzercise has them anymore. 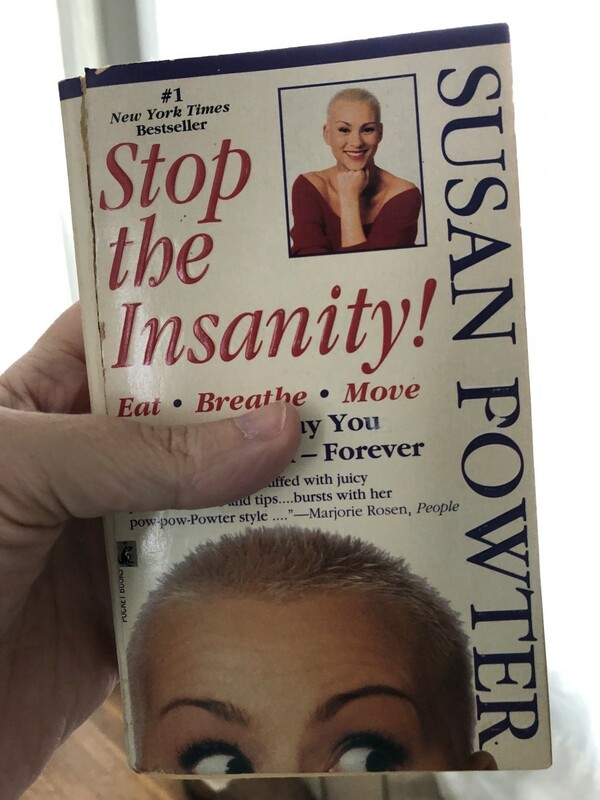 I was very successful with this diet in the early '90s - it was great! [in reply to Emmy] Hi, Emmy... I sent you an email but will post the response here also. I'm pretty sure the only place to get a hold of the Mapbook and list of foods and points is through a Jazzercise franchise. The Jazzercise corporation itself isn't printing them any long, I don't believe. There's also some copies of the Know More Diets by Jazzercise VHS tape they'd made about the "diet," currently available on Amazon. Really a great lens. Even though I'm following Weight Watchers Points - I am trying to incorporate healthier foods - and I think this lens has some great information! Great lens. Full of plenty of common sense which is just my style. I love the layout of the lens as well. Easy to read and navigate. 5* and lensrolled. Welcome to the THE Weight Loss Group! I love the way this lens is built on personal experience and the style of writing.